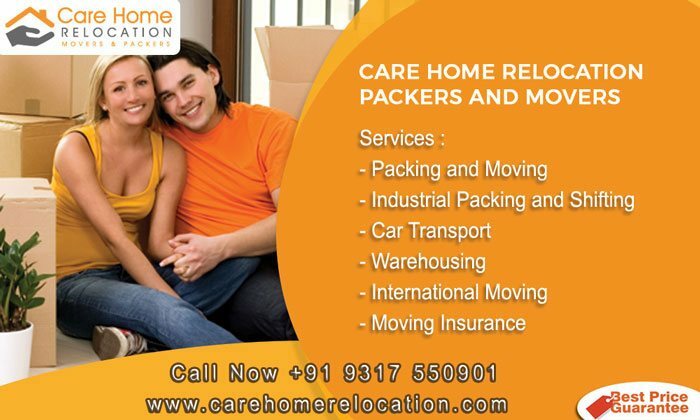 Care Home Relocation is one of the best organizations for packers and movers in Ambala. Care Home Relocation service for packers and movers in Chandigarh, Mohali, Panchkula, Patiala, Shimla, Solan, Ludhiana, as well as Jammu, and Jalandhar. We aim at consumer loyalty and commitment to excellence. Our group has experience of very nearly 8-10 years. Since then, Care Home has effectively done vast household shifting and is the most attractive movers in India. Our Trained and experienced group ensure protected and secure delivery of your merchandise. We take every one of your stresses of shifting like packing unloading and arranging your products and furthermore give insurance services to your peaceful shifting. Our quality administrations have earned us new customers and reference customers on general premise. Care Home Relocation topmost priority to offer top-notch services for each relocation, across the country, for a stress-free and effective relocation experience. Our Packers and Movers in Ambala, having years of experience and many satisfied customers to prove our expertise. At the point when the time comes to choose a best Packers and Movers, we give top class services and you’ll see us be the top of the line organization for a wide range of shifting, every time. We have been in this industry since numerous years and know everything about this city inside and outside, whether you are moving your home or your office we execute each move with the unmatched level of involvement and skill. We are well known the most knowledgeable and most prepared moving organization. Our organization is one of the main service providers for loading and unloading of the goods. Our primary motto is to offer safe, speedy, efficient, proficient loading and unloading of our client’s things. We give most extreme significance while loading and unloading so each item is handled carefully and no products are harmed while travel. Care Home Relocation provides Warehousing and Storage facilities to meet the rising demands of the customers. Our Warehouse is large and hygienic that can easily grasp bulk amount of items safely. When commercial offices change location, it throws a bigger challenge to the management than office relocation. Mainly because it involves shifting of office equipment, documents, furniture and fixtures, and most importantly the employees. Hiring a professional agency like Care home relocation is the best idea to get rid of worries and difficulties involved in the process. When you assign the task to us, we take the complete ownership and make sure that you shift even a single piece of paper safely and smoothly. Experienced people in our staff take care the smoothest transfer ever before! Care Home Relocation Packers and Movers in Ambala coordinator will contact you to follow up on your quotation, assist you with your booking and answer any additional questions. Once you have finalized your move date and contact details, our coordinator will send you written confirmation of your booking. Going for the Man and Van hire from Packers and Movers in Ambala! Packing all of your household contents can be the most time consuming part of your move. Why not leave it to Care Home Relocation packers and movers? All our movers are fully vetted, with company uniforms, identity cards and references, all available for you to inspect. Our customers can reward these services from us at business leading prices. Care Home Relocation is involved in provides a broad variety of services which is related to insurance. During the shipping period we recommend insurance services so that in case of any manifest situation our clients do not have to tolerate the losses. So that the Care Home Relocation is the best packer and Mover Company in India as well as its offer best services during the transportation of customers items for one place to another place.